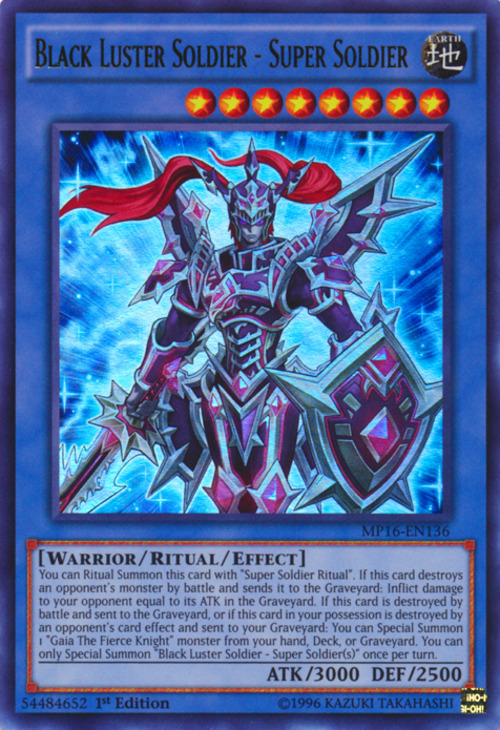 This card is a retrained version of Black Luster Soldier. This monster appears in the artworks of Super Soldier Shield and Super Soldier Rebirth. 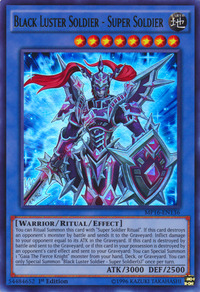 This monster's armor appears in the artwork of Super Soldier Soul.